This years line-up is ridiculous, and there’s a truly staggering amount of info available on-line to plan an assault on the ‘fest – given that it’s free – there’s not a single reason to not at least drop by the Toronto Reference Library. The size actually is now well into dangerous territory. In the past I could always wander around the exhibitors and pick up some random mini-comic stuff just for the heck of it. Those on twitter know I’ve been devouring The Comics Journals exhibitor preview and, I kid you not, my first draft “have to pick up” list would literally run seven hundred dollars. May need a re-think on that one. But there is a bounty of riches. THE ABOMINABLE CHARLES CHRISTOPHER. Karl Kerschl’s art is sublime, and the story he’s telling over at Abominable.cc is so subtle and nuanced I actually have had a hard time following it on line. 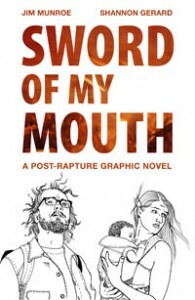 As such I’ve been really looking forward to a collected volume – and one this good looking is just icing on the cake. I possibly e-mailed the folks at TX just to make sure they were going to have enough copies at the show. 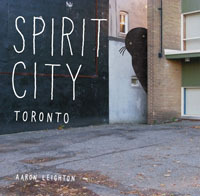 I don’t know what to make of Aaron Lieghton’s SPIRIT CITY TORONTO. 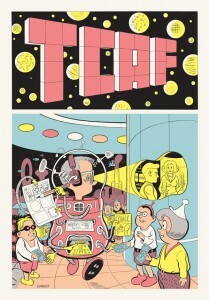 The first I heard of it, at all, was it showed up – almost as a footnote – today in a list of works debuing at TCAF. So it’s a (kids?) 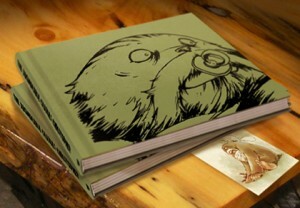 book where Leighton has drawn some of his trademark cool spirt-characters on photos of Toronto? Except it’s never been mentioned anywhere on-line? And I thought Leighton lived in Calgary. There is only one possible solution. This is an actual ghost book. Then I found this on-line preview. Which is kind of awesome. 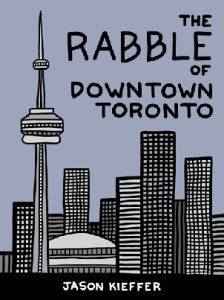 Jason Keiffer’s THE RABBLE OF DOWNTOWN TORONTO isn’t new (It’s been out for several months) and I’ve actually passed on picking it up a couple of times, but it keeps popping up in newspapers, and blogs that I read over and over and has now firmly planted itself in my head as “something I need to read to form an opinion on”. So… good job on that front Jason! And in that same vein KENK. 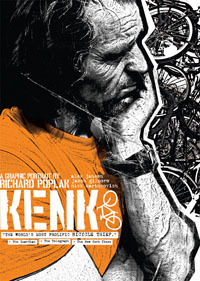 About Toronto bicycle-crimelord Igor Kenk. Roll that around on your tongue for a while. Other than that I’ll be out and about – there’s a number of the panels at the Pilot that I hope to be checking out on both days as well – so if you see me feel free to say hello!